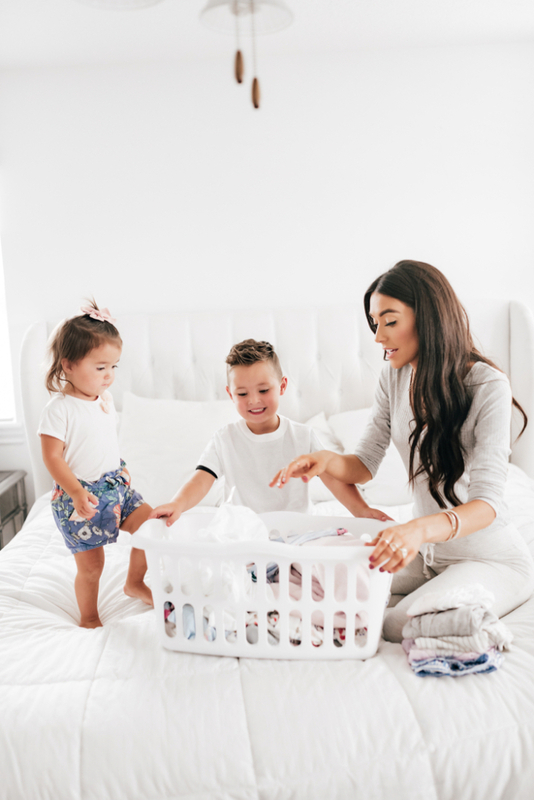 If you’ve been following me for a while now, then you know I am a super stickler when it comes to taking care of my kid’s clothes. 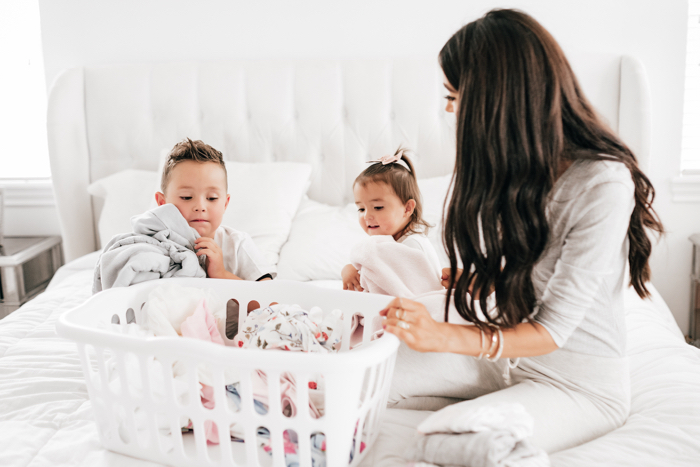 My kids are always on the move so it’s nearly impossible to keep clothes clean for longer than 5 minutes, but I try my best! We change our outfits often in the house which leads to tons of laundry. I’ve shown it in my Instagram stories a few times on how I hang dry all of their clothes. Yes, this takes a little more time but it pays off in the long run. 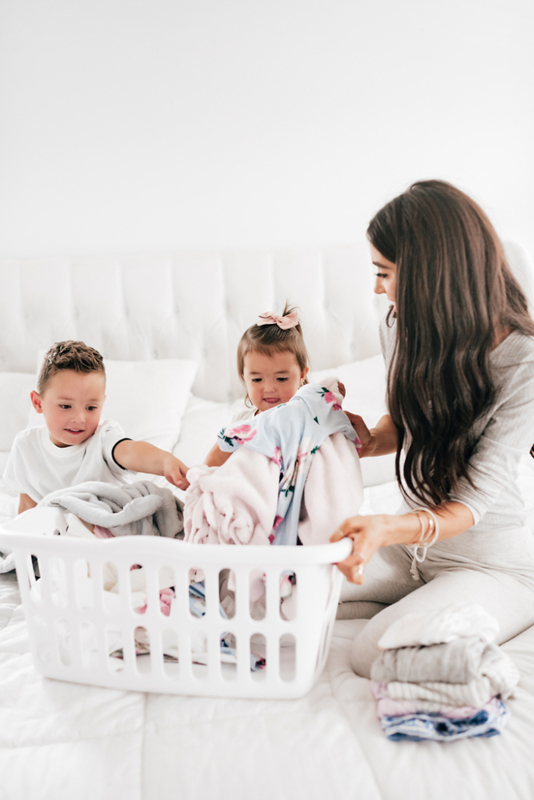 When I dry my kid’s clothes in the dryer, I feel like they do not last as long as they normally would if I hang them dry, the colors fade, and I can’t stand our the little seems on their clothes curl up! Also, kids clothes are just as pricey as adult clothes and I am not looking to constantly buy my kids outfits every week! 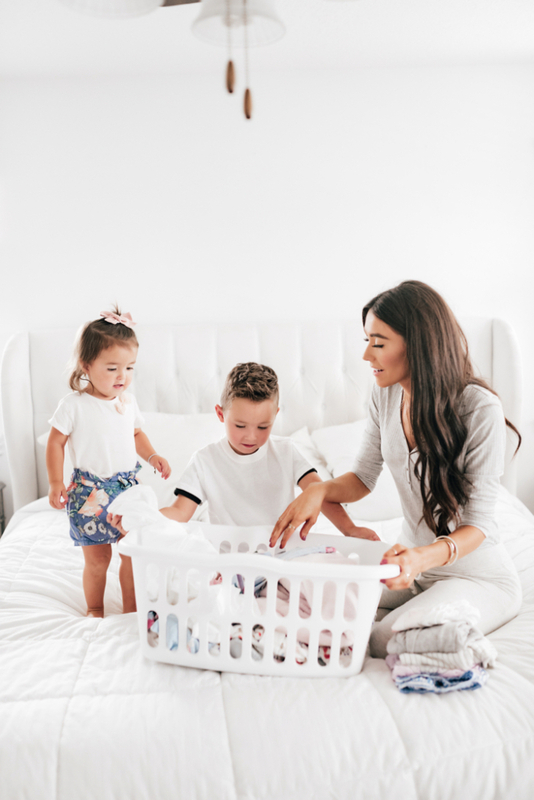 One secret I’ve been keeping to keep my kid’s clothes clean and help them last longer and can’t wait to share with you guys is Dapple Cleaners Detergent Laundry. This is a totally gamechanger, you’re going to love it, I promise! It’s brand new and is launching exclusively at Buy Buy Baby in September. Dapple cleaning products are made without plant-based ingredients that are biodegradable and made without parabens, formaldehyde, SLS, and SLES, as well as synthetic dyes or fragrances. This detergent removes up to 50% more gross stuff that stains and stays on your kid’s clothes. No matter how many times I wash my kid’s clothes, there are always a few stains that never get out! This detergent got them out! Yup… I was so amazed! 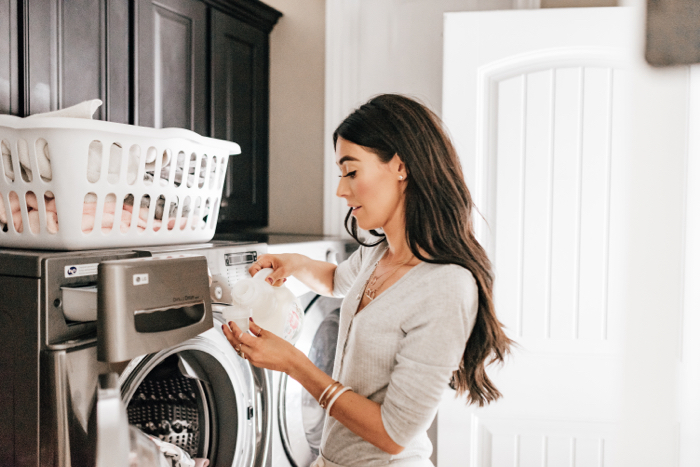 The 50 oz fragrance-free detergent allows you to do 50 loads of laundry with just one bottle. 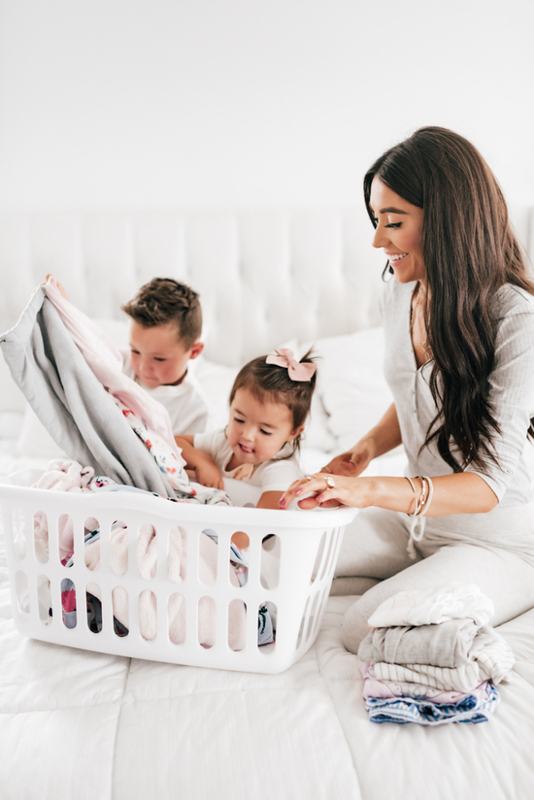 This is huge for me because if you’re a mom, I’m sure you can relate, it’s not easy to go out of the house for just a few items! 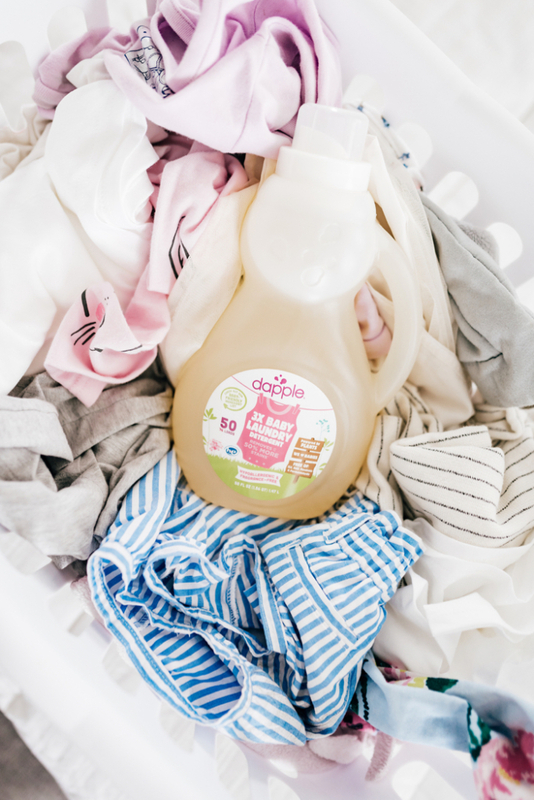 Trust me, this stuff is amazing and if any mom is looking for a detergent that is effective and well priced, grab a bottle of this good stuff next time you’re at Buy Buy Baby. 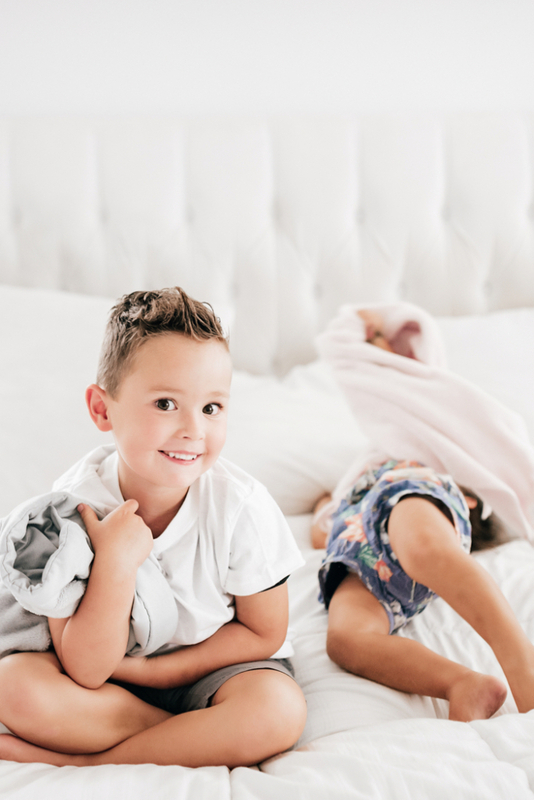 I also love it because it leaves the kids clothes feeling fresh, looking great, but no harsh scents to irritant their skin, and no residue left on their clothing. 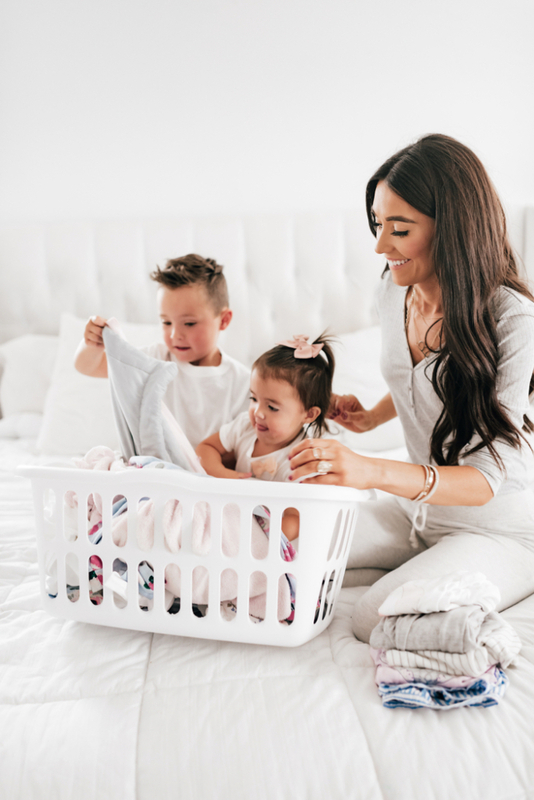 Turn all their clothes the right way before you wash them (unless you have a design you don’t want to directly wash) so when you go to hang them up you aren’t having to turn wet clothes inside out (it’s almost impossible). Takes one step out of the process. Invest in a drying rack that can be put away in your house and taken out when needed. I grabbed my large one at Costco and use it every single wash. It also has a great section for hanging clothes so for the clothes that I know go on hangers I bring down hangers and hang those up to dry. Once they dry I simply hang them up in their closets. 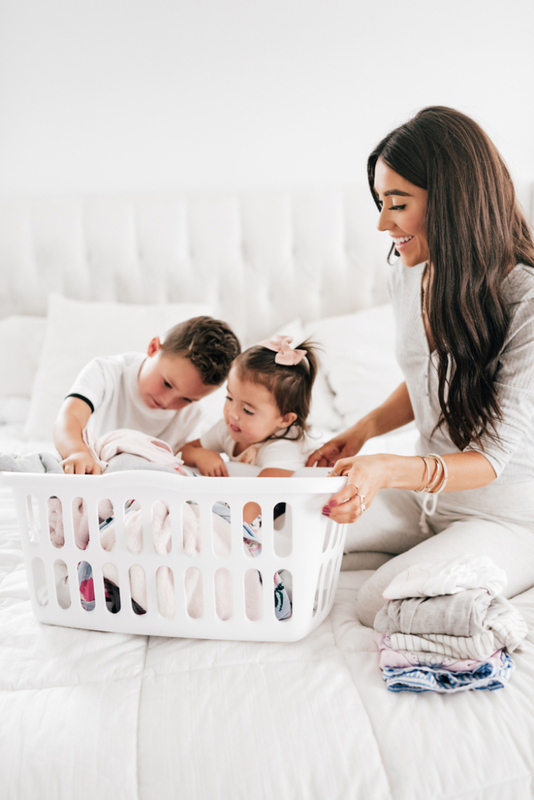 I hope these few little tips help your laundry game. I know hanging all the clothes can seem tedious but it is so worth it even though your house by look like a fabric market for a day.